Let’s talk about how we buy clothes. 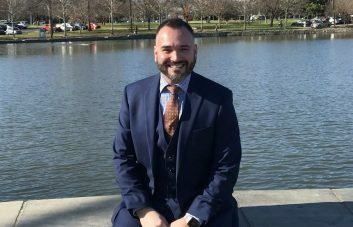 Sure, swinging by the mall and grabbing something off the rack is fine if we’re talking jeans and t-shirts, but for too long we’ve had to buy our suits the same way. For decades we’ve bought suits cut to standard sizes and sold with limited styling options. We’ve worn jackets that pull across the shoulders, or have sleeves that are too long. We’ve taken pants to be hemmed repeatedly because they were first too long, then too short. The hassle is real. It’s time to shop for your suit in a way that works, that guarantees you not only a fine garment, but one that represents you and your taste. And, not least of all, that fits you perfectly. Take the following into consideration when shopping for a suit and you’ll be sure to end up with one that covers all of the above. 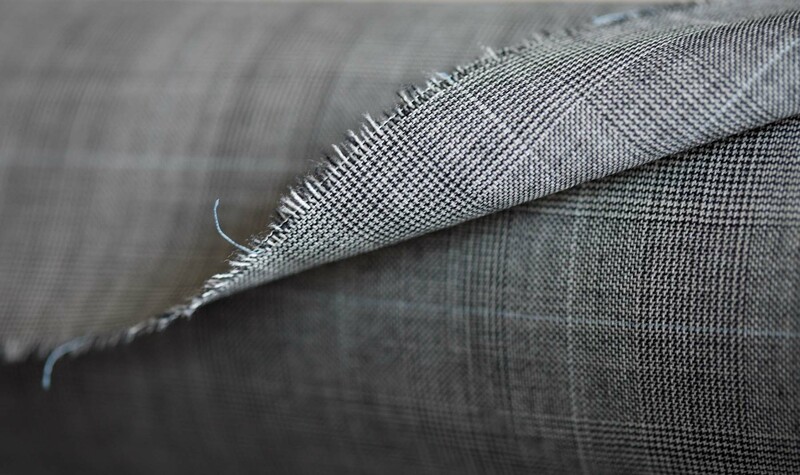 When selecting your suit fabric, consider the material’s composition. All-natural merino wool is the standard in quality suiting and, depending on its weight and thickness, can be worn year ‘round. Wool blends that incorporate cashmere or silk have superior thermal properties, while feeling lighter and finer to the touch because of the long, flat shape of these luxurious fibres. Lighter fabrics like linen and cotton make for great warm weather and casual suiting. They look great but, depending on your environs they can be somewhat limited in their wearability. 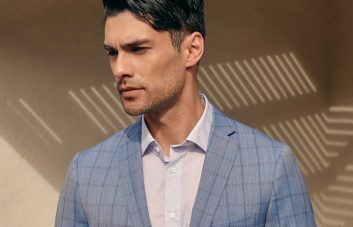 Color and pattern choices are ultimately up to your personal preference, but being strategic when selecting your suit will pay off in the long run. Solid colors like navy and charcoal make excellent first or second suit choices because they’re the most versatile and can be worn for most occasions. 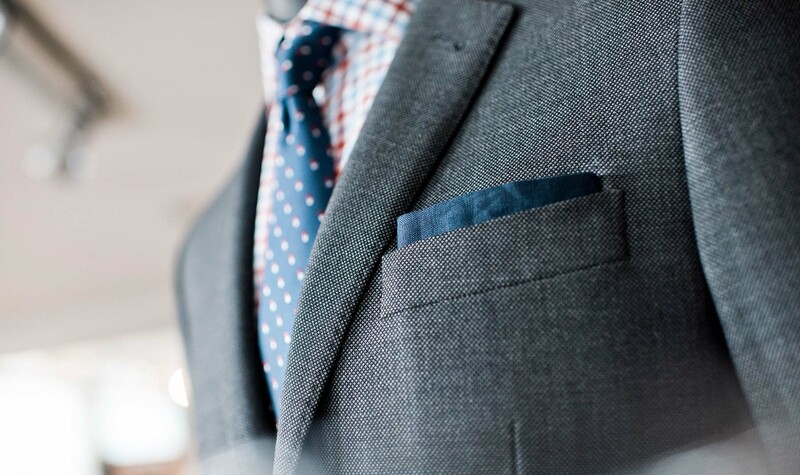 If you’re unsure about wearing patterns, try a weave with visible texture like birdseye (above) or sharkskin, which blends two colors of thread to make a smooth fabric with appealing visual depth. Not that you should be wary of patterns. They’re a great way to add diversity to your suit routine, especially if you have to wear them regularly. Classic patterns like Prince of Wales and Windowpane have a distinguished appearance; stripes of varying widths all add a little length to your appearance; and if you’re feeling bold, a plaid or contrasting check like houndstooth can look super sharp with the right shirt and accessories. Looking great is as much about wearing clothes that fit as it is about style. When it comes to things like colour, pattern and material, you can follow the rules or break them and still look good. Fit is different. You might mix and match stripes with checks, but you’d never wear an ill-fitting jacket over perfectly tailored pants. (At least, we hope you wouldn’t). 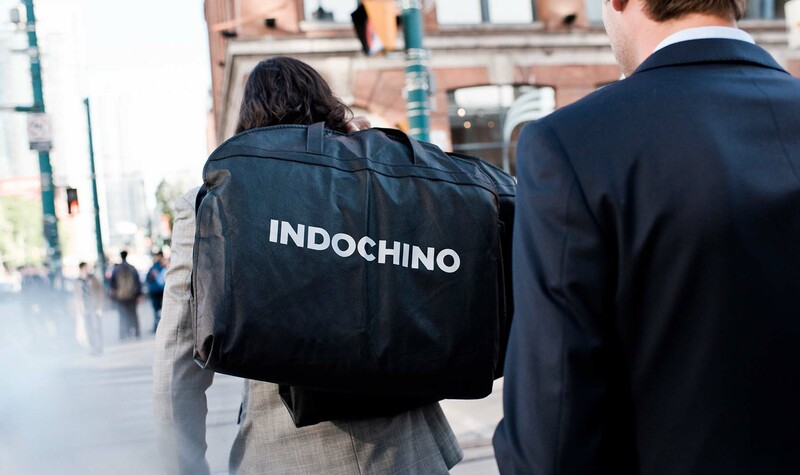 Like they say: If your suit fits, they notice you. But if it doesn’t, they notice the suit. 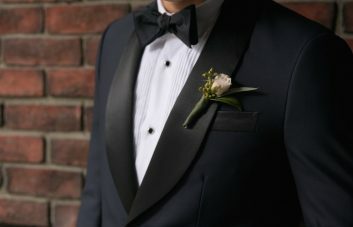 Your best option for a great fitting suit—without dropping thousands of dollars on bespoke tailoring—is made to measure. Our suits are made to your measurements, and built with the custom options you select, from your jacket lapels down to your pant cuffs. You’re unique, and your suit should be too. Shop our Spring Clearance sale, on right now, to get the best deals possible on high quality, hand crafted made to measure suits, shirts and accessories. Live in one of our showroom cities? Book an appointment today.